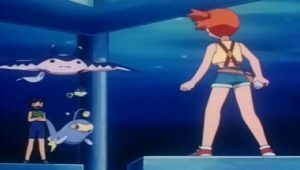 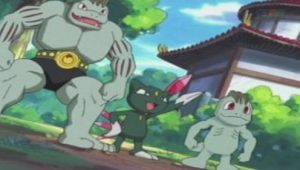 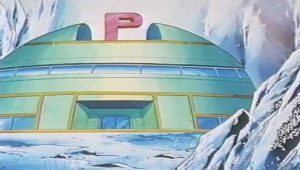 Hardly taking a second to relish his latest gym victory, Ash quickly sets course for the next gym in Blackthorn City. 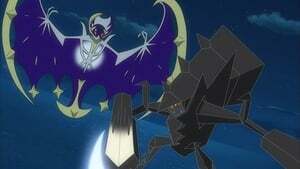 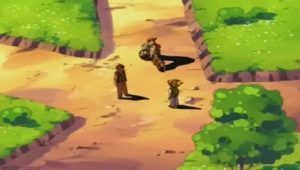 It isn’t long, though, before a more immediate challenge confronts his small party. 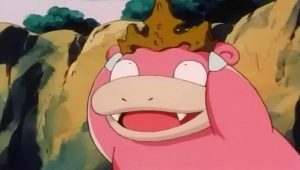 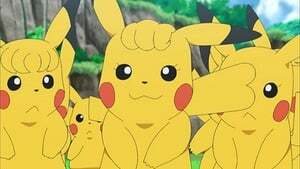 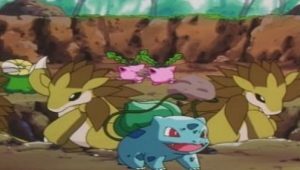 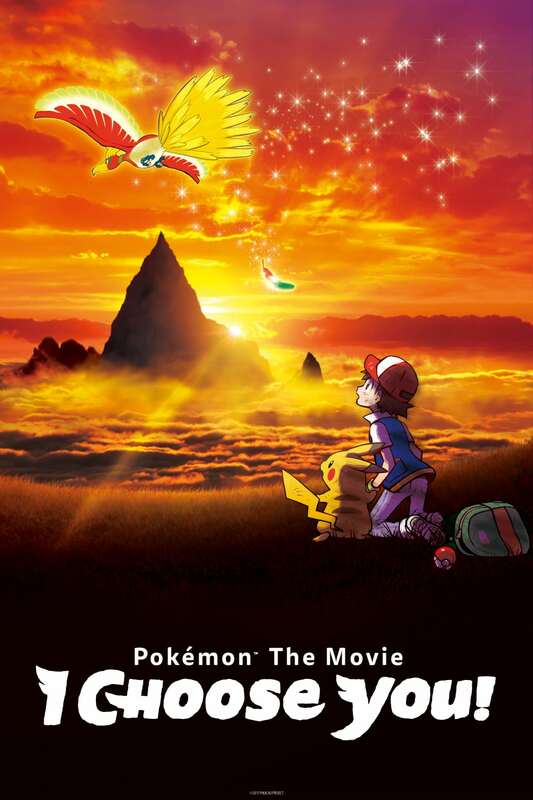 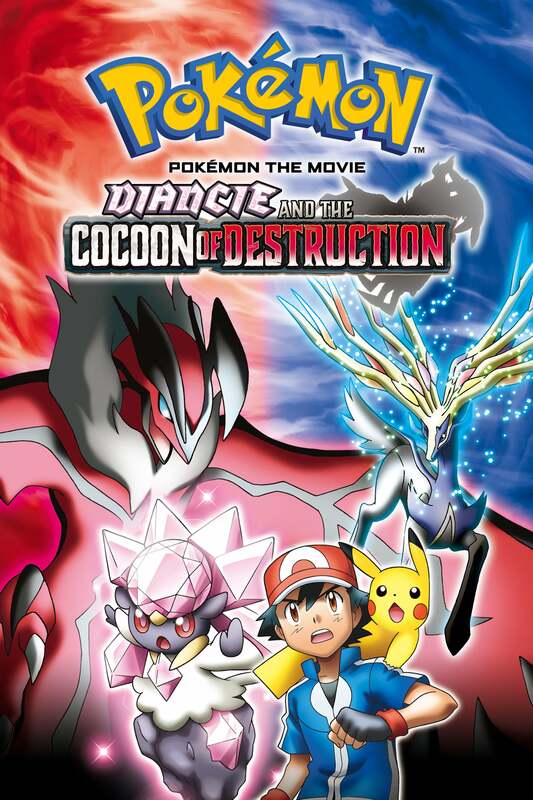 As Ash and friends enter a clearing, they find large numbers of Vileplume and Bellossom preparing to battle. 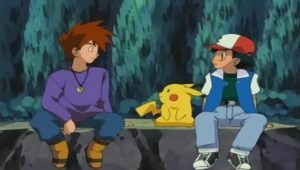 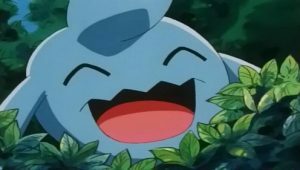 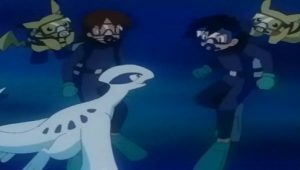 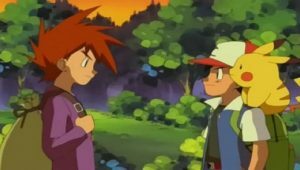 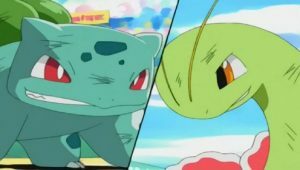 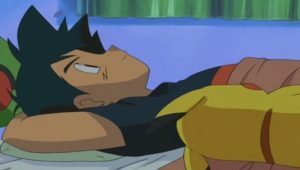 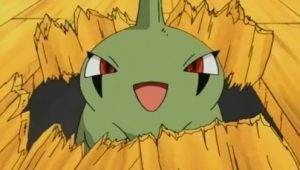 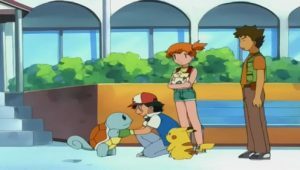 With the help of his Bayleef, Ash is able to settle the disturbance, but afterwards learns from a researcher working in the area that this is a common occurrence. 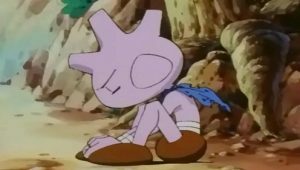 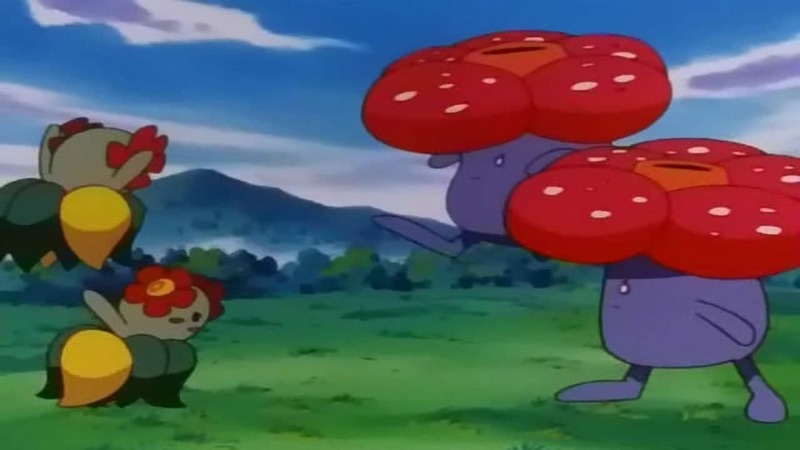 The winds in this area, it seems, carry particulates from the Leaf and Sun Stones that cause Gloom to evolve into either Vileplume or Bellossom. 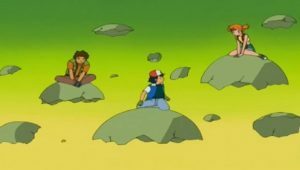 Depending on the wind’s direction, different amounts of either stone are scattered over the local Gloom, creating temporary surges in the populations of either of their possible evolutions. 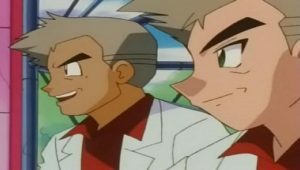 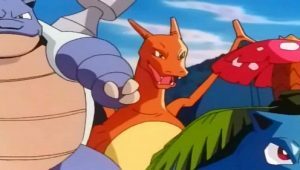 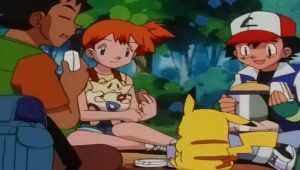 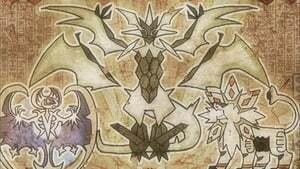 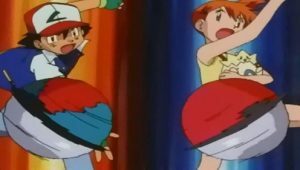 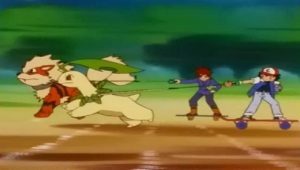 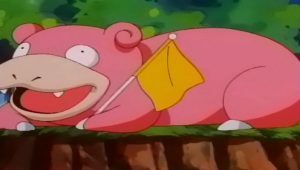 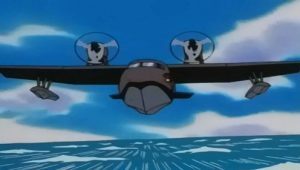 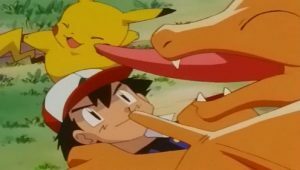 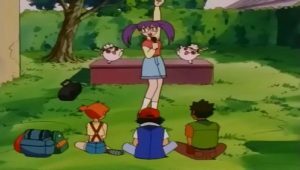 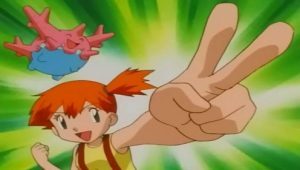 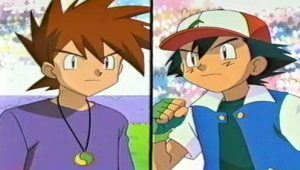 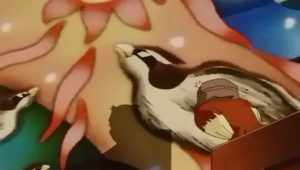 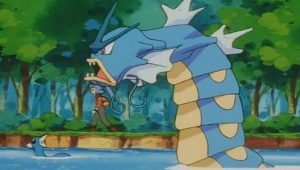 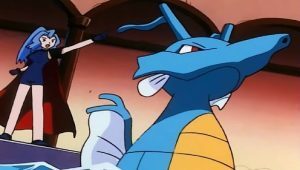 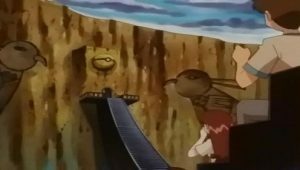 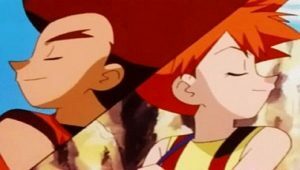 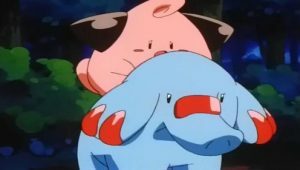 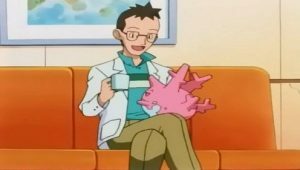 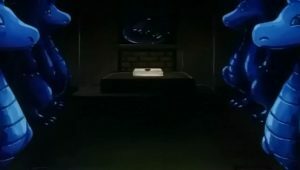 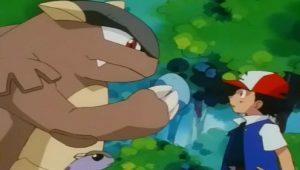 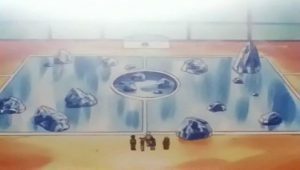 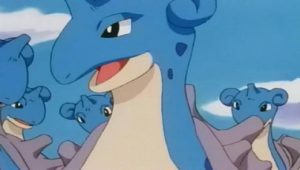 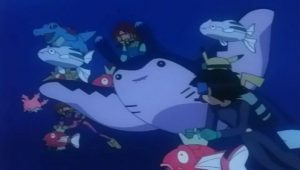 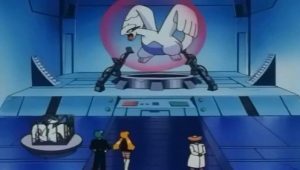 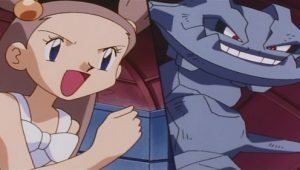 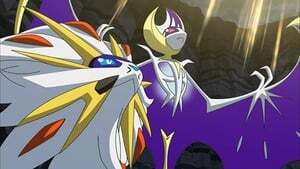 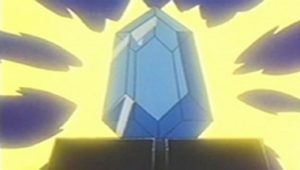 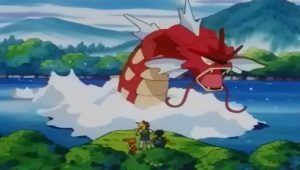 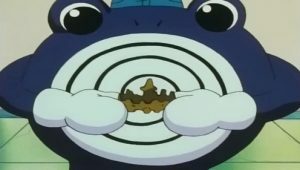 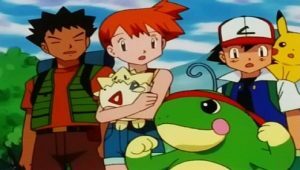 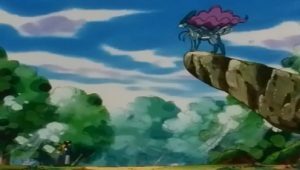 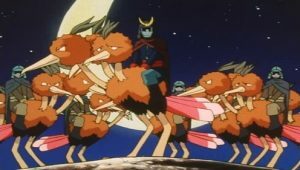 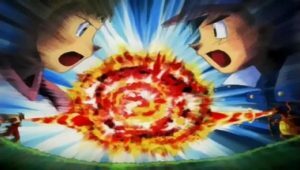 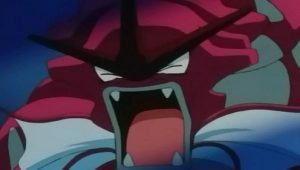 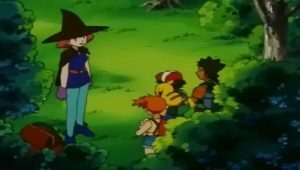 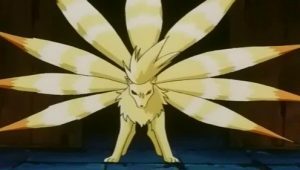 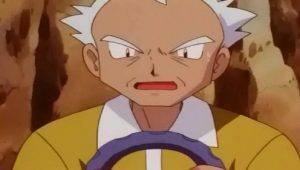 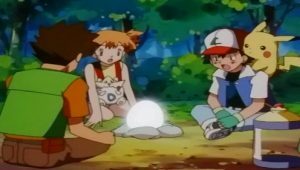 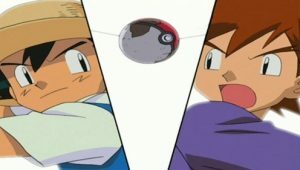 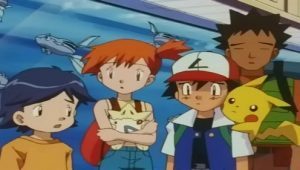 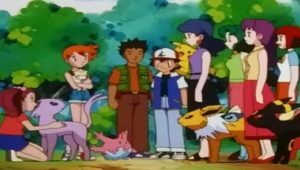 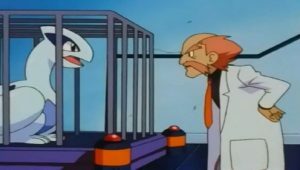 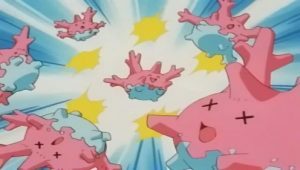 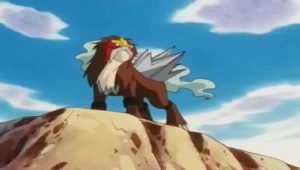 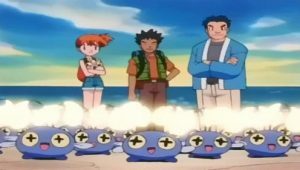 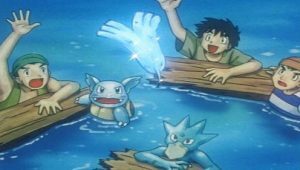 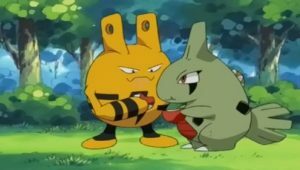 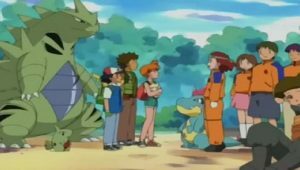 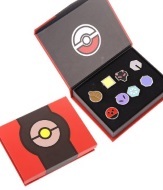 Since there is no foreseeable end to this natural state of flux, Ash and friends must end this constant fight for supremacy by convincing these Pokémon to live in harmony despite this trick of the wind that puts one and then the other group in the advantaged position.